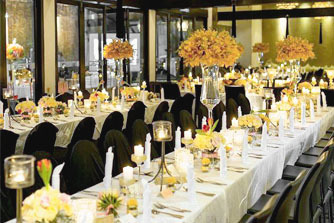 Love is the greatest adventure, and Tamarind Restaurants' venues provide an unrivaled backdrop to your perfect wedding. From invitations to wedding cakes, and from floral creations to photography arrangements, you can trust our dedicated wedding specialists to simplify your planning and create an exceptional, picture-perfect event. For bookings and enquiries, please contact our wedding specialists at +603 2280 0501 or email events.my@tamarindrestaurants.com. An escape in the heart of the city, Tamarind Hill's abundant greenery and freeform ponds offer a naturally scenic backdrop for your perfect day. 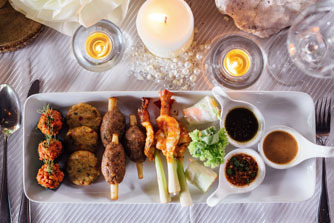 With its thatched roofs, overhanging pavilions, and gastronomic Thai and Burmese cuisine, the restaurant evokes a sense of being away from Kuala Lumpur, and is certain to create a memorable experience for you and your guests. Let your individuality shine at the dynamic FOOK. Rustic with a touch of sleep and stylish, make a statement on your special day at this casual yet elegant venue, featuring gastronomic cuisine and three distinct dining spaces to select from. Whether you choose the spacious and timeless dining hall, the striking private room with its trademark colossal chandelier, or the lofty alfresco deck, let us create a one-of-a-kind wedding that you will not soon forget. Planning the perfect celebration begins with selecting your dream venue. 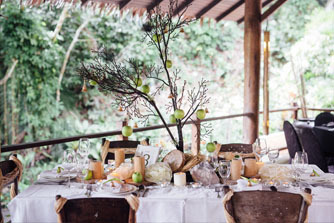 Encircled by the raw beauty of nature, this jungle-luxe restaurant exudes a warm and welcoming ambience, and is perfectly suited for couples seeking a venue as unique as the love they share. 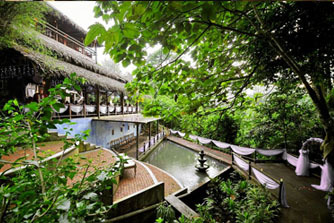 Enveloped in the beauty of the lush rainforest and a cascading waterfall, romance abounds at The Terrace at Tamarind Springs. With spacious outdoor decks, rustic interiors, and its very own pool, the versatile venue offers a world of options to make your daydream a reality.